Julia Josephine Grady McQueen, 92, of Raleigh, beloved mother, grandmother, and great-grandmother entered into rest on Monday, January 1, 2018. Julia was born in Wayne County, NC, to the late Lawton Berry Grady and Josephine Newsome Grady of Wayne County. She was the youngest of six children; three brothers, Judge Grady, Swift Grady, and Dan Grady; two sisters, Sudie Mae Suggs and Annie Smith. In addition to her parents and siblings, she was preceded in death by her husband of thirty years, Bernie Garrett McQueen, Sr.
She is survived by her four children, Sue Ann McQueen Wood and husband Jerry, Bernie Garrett McQueen, Jr. and wife Danya, David Timothy McQueen, Michael Lawton McQueen and wife Cheryl; six grandchildren, Rachel Wood Hewett and husband Patrick, Sarah Wood Rackley and husband Donald, Garrett Edwards McQueen, Julia Hall McQueen, Jessica Grady McQueen, and Emma Lawton McQueen; three great-grandchildren, Kenzie Diane Rackley, Annie-Kate Elizabeth Rackley, and Donald Bryson Rackley. A gracious-southern-Christian woman in every regard, this was Julia. She was a Christian believer who spent time daily in the word. 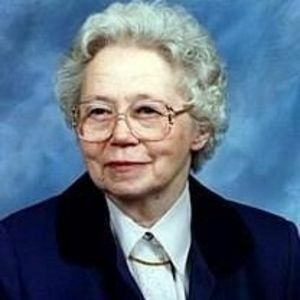 She was a faithful member of Avent Ferry UMC for fifty-five years where she attended Sunday-School and served in various capacities. She attended the Women's College at UNC-Greensboro and later was with Southern Bell and retired from NC Department of Environment, Health, and Natural Resources. Julia's hobbies included sewing, her family, her church, and keeping up on current affairs. A funeral service will be held at 11 am on Friday, January 5, 2018 at Avent Ferry United Methodist Church, 2700 Avent Ferry Rd., Raleigh. A visitation will be held Thursday, January 4, 2017 from 6-8pm at Brown-Wynne Funeral Home, 300 Saint Mary's St., Raleigh. Burial will be private. Special thanks to the ICU team at Rex Hospital and her special care givers; Lina Oates, Bonita Randolph, and Maribel Riojas Ortega. In lieu of flowers, memorial donations may be made to the American Heart Association, 3131 RDU Center Drive #100, Morrisville, NC 27560.